Are you ready for a weekend of country jams? Labor Day weekend is right around the corner and that means the 2016 Pepsi Gulf Coast Jam is set to rock the beach! Pepsi Gulf Coast Jam has grown year after year and in 2015 the event was voted one of the Top 10 Music Festivals in the US by Country Living Magazine. Over 20 national country artists and bands are set to perform at the 3 Day music festival at Aaron Bessant Park and we’ve just gotta say…we cannot wait! Make sure that you grab your tickets as soon as you can. The VIP sections are all sold out but there are still 3 Day General Admission passes available and the early rate. There is a rate hike if you wait til the last minute, so… don’t wait! Click here for ticket pricing and info! Wanna know who is coming for Pepsi Gulf Coast Jam 2016? We’ve got you covered! We gathered all of the artists and the days that they are playing. We also threw in links to the artist’s websites in case you wanted to get a preview of what’s coming to our beautiful beaches! There are a number of our Lodging Partners that are offering great Gulf Coast Jam Room Packages. 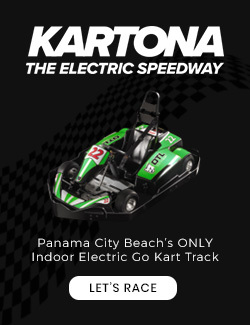 Make sure you check out these great deals to save a few bucks and get a sweet hotel on Panama City Beach!